You know the names… Peter Brock. John Morton. Frank Monise. John McComb. How about Sylvia Wilkinson? In 1970, she was a young writer with a few published novels – but she had a real passion for competitive racing. 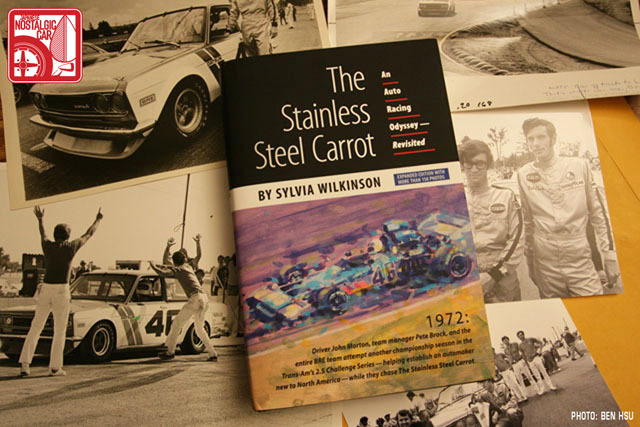 Her next book, The Stainless Steel Carrot: An Auto Racing Odyssey, incorporated that passion. 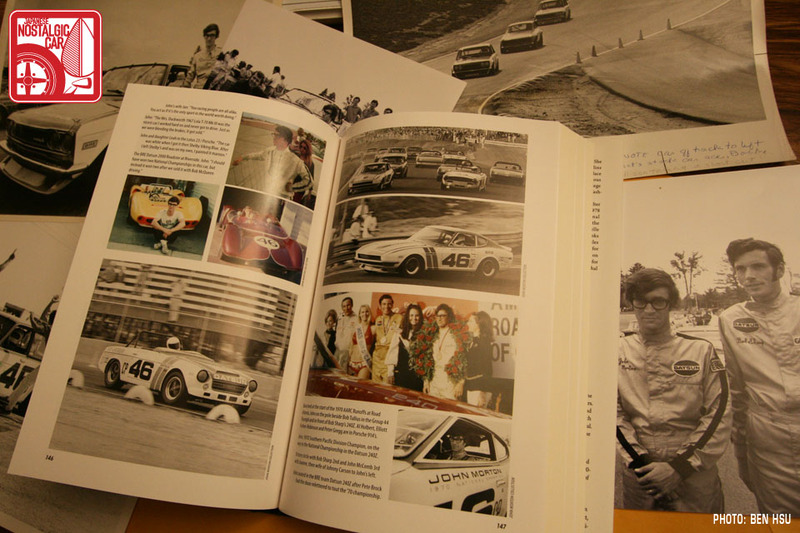 The book follows a young racer named John Morton as he campaigned the Brock Racing Enterprises Datsun 510 in the 1971 and 1972 SCCA Trans-Am 2.5 Challenge. As you know, Morton won both championships, cementing his place (and those of the 510 and its BRE livery) in motorsports history. While Morton’s career continued, the book has been out of print since 1973, and original copies have become collector’s items. Despite years of requests from fans of the book, it took friends and family (including John) ten years to convince Sylvia to bring the Stainless Steel Carrot back into print, with new material. Their secret weapon? They turned it into a charity project to benefit animals, with royalties from the book sales going to animal and environmental groups – and Sylvia finally agreed. We’re proud to announce that The Stainless Steel Carrot has been republished with additional material, but a limited number of books have been printed – approximately 300 remain. Once these are gone, they’re gone. Forever. For this reason, we here at DatsunForum.com have agreed to help promote the book. So, if you’re down with helping animals, preserving some cool Datsun history, and reading an awesome story about Mr. Morton’s heroic efforts against all odds in the 510, get a copy for yourself! 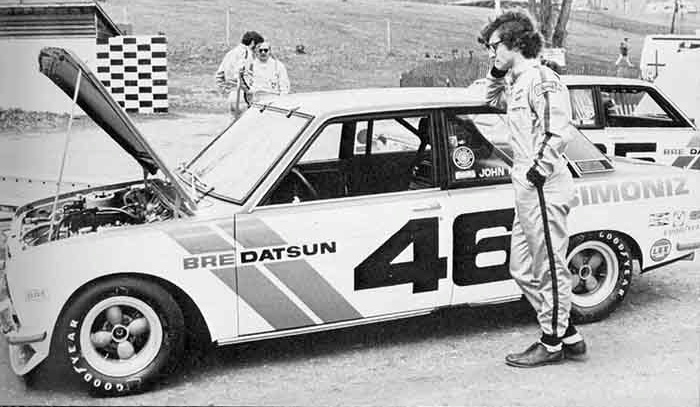 No question, The Stainless Steel Carrot is 365 pages of Datsun racing history that belongs in the libraries of racing fans and Datsun enthusiasts everywhere.